The Cottage Restaurant - Best Soup in Monterey! Voted Best Soup in Monterey! 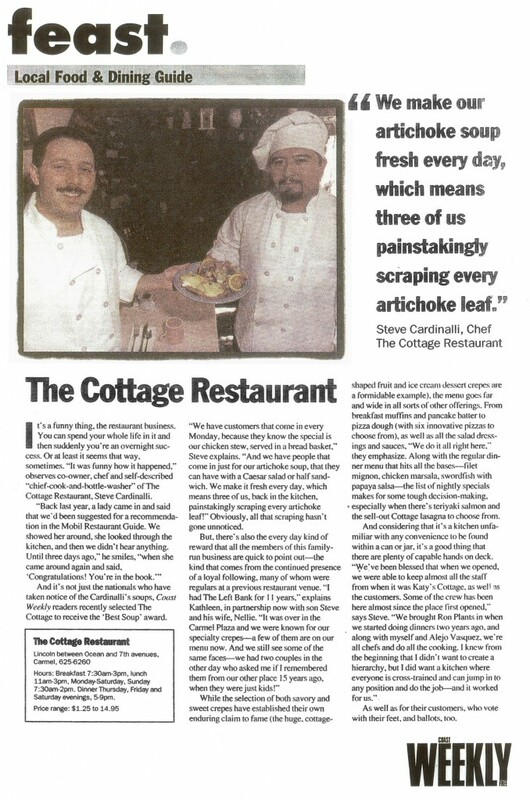 Thankful that their artichoke soup hasn’t gone unnoticed, The Cottage is proud to have the continued presence of loyal customers who continue to come back over the years.